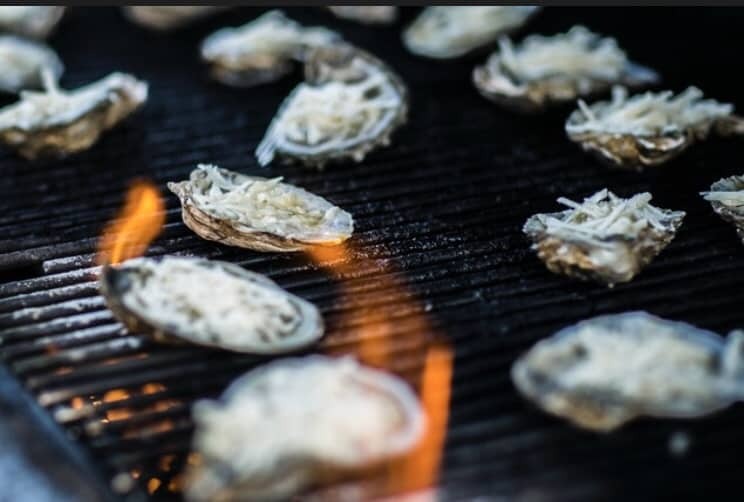 Grilled Oysters…a fabulous way to enjoy these briny beauties any time of the year! 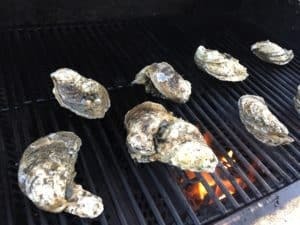 If you are local to Charlotte, grab a few dozen medium-to-large sized oysters and have the lids removed at Carolina Meat & Fish Co. Let’s get grilling! 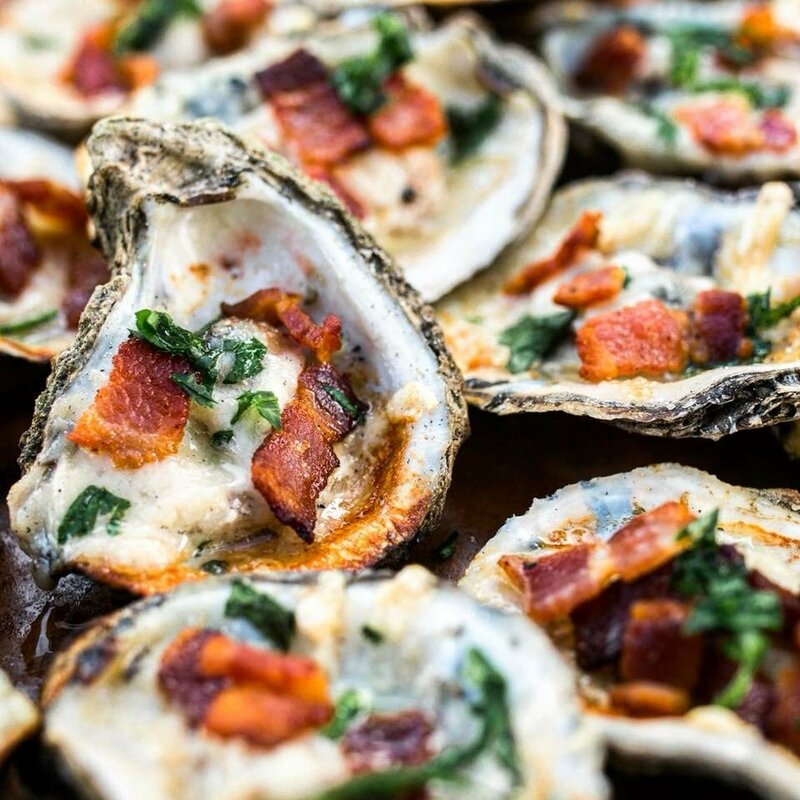 I would suggest at least 6 to 8 oysters per person. Crisp up bacon. Amount will depend on how many people you are serving. Crumble. 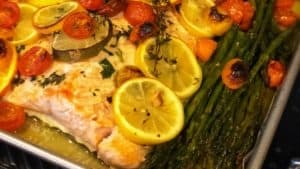 Heat up the grill or oven to 400-450 degrees. 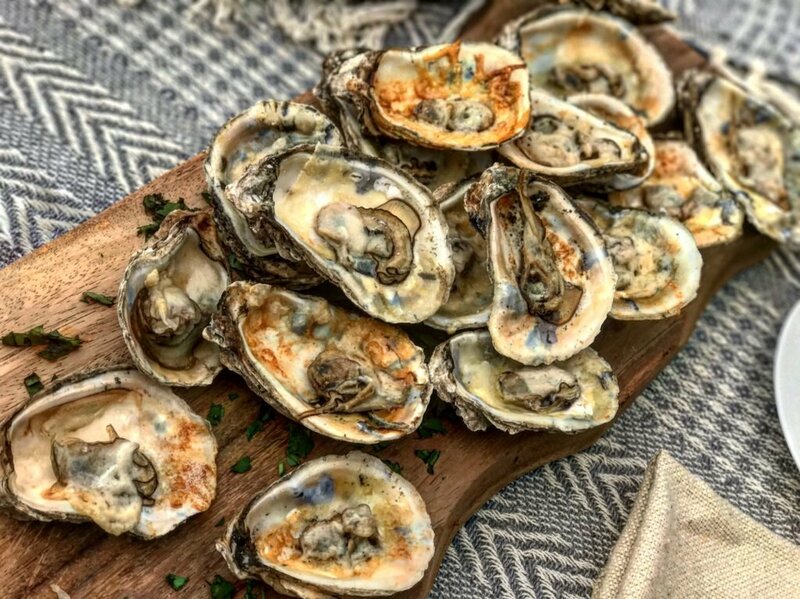 Top each raw oyster with melted butter and shredded Parmesan cheese. 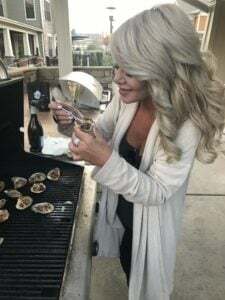 If you cannot get your oysters with the lids removed, you can place them on a hot grill (see picture below) and just when they open, remove from heat and continue following the recipe below with the toppings…then back on the grill for a few minutes! 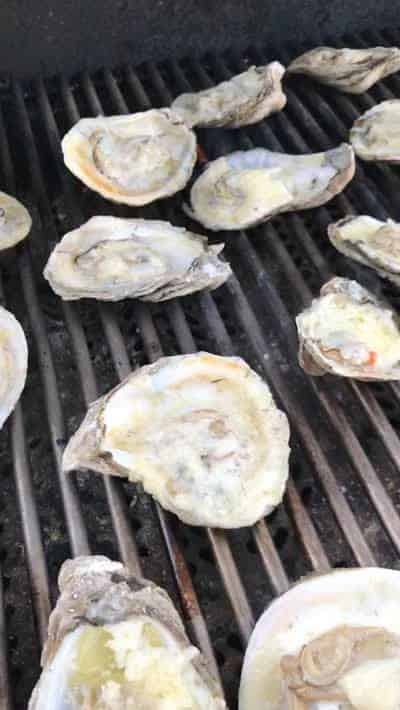 Oysters are done when the cheese has turned a golden brown. 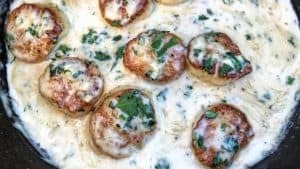 Garnish with the bacon pieces (optional) and fresh chopped parsley. 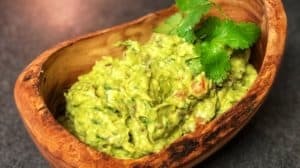 Serve with lemon wedges and ENJOY!